Dr. Roeper's intuitive insight and ability to nurture children and parents have resulted in stories that address universal concerns of young children that are as sensitive, soul-satisfying and developmentally appropriate as when they were first authored in 1963. 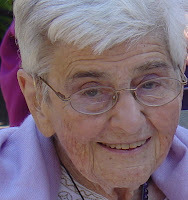 Hardcover, softcover and e-book editions of Dr. Roeper's books can be ordered through LULU.com. For holiday giving, please order by December 10, 2010. With her insight into the very young, Annemarie Roeper gives us simple, timeless stories for caregivers to read aloud that are as comforting as a hug. Children can easily relate to these charming stories. They express so well their feelings and in this way validate their experience, something that is essential to our well-being. 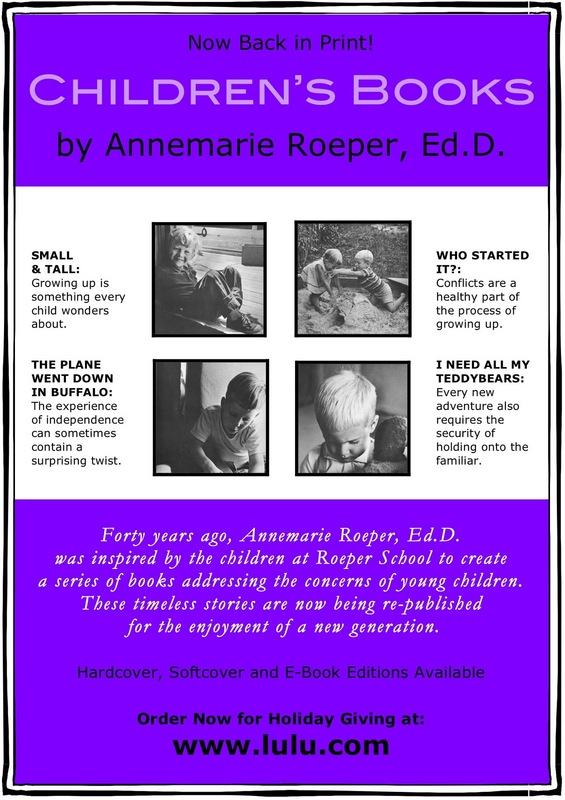 Gleaned from a lifetime of listening patiently to children, Annemarie Roeper’s abiding respect for children and parents illuminates every page of these books. Dr. Roeper re-creates and crystallizes the mysteries of a child's physical and emotional passage through childhood in such a way that her books will always be of value to parents and children.